From the crack of dawn until the moment when the sun bids farewell, the swings of bats and wearing in new cleats are a homegrown Ohio tradition. Baseball's first fully pro team was born here, back in 1869 when the Cincinnati Red Stockings hit the field. Even though Ohio's modern NFL franchises have difficulty tracing their purest roots back to the Ohio League, it truly was the direct predecessor of the NFL. Teams from Ohio have won 7 World Series, 9 NFL games, and 3 NBL Finals. From The Ohio Stadium to First Energy in Cleveland to Paul Brown and Progressive Field, many sports heroes from here have been playing their hearts out on the field during their respective seasons. With a dominating presence in last year's Olympics, many high achievers in the NFL arena, and star champions of all different types, early February is a great time to take a close-up look at just how much athletes from our state have contributed to the wide world of sports. Ohio's dire seriousness when it comes to competition is such that every single resident can agree how much ethical and home-grown pride is put into sportsmanship. When the guards start running up and down the court and the ticket sales lines jam up for Buckeyes while fall leaves rustle, star attitudes are surely spun and cultivated here. On our short list are a few of those who have outshined the rest, and a bit about their unique talents. Rachael Alexis Adams was part of the USA national team that brought back the gold medal for volleyball in the World Championship Experience when they defeated China 3-1 during a gripping final match. She is a 6' 2” Middle Blocker from Cincinnati, and she scored 84 points during the 2016 Olympic Games, ranking 11th in scoring, and a close tie for third in Best Blocker. Her father played for the San Antonio Spurs beginning in 1978, after showing his prowess on the court at University of Illinois. Gleaning awards such as Second Best Blocker for Team USA for their win at the Pan American Games, she is one hot and high-achieving asset for the USA on the sand. Nate Ebner is a New England Patriots powerhouse who played college ball for the Buckeyes, and had the amazing accomplishment of having 30 tackles as a special teams player during 36 career games. When he was just 17 years old, he became the youngest player in history to give their talent to the US national rugby sevens team. This is a guy that did not even play high school football, and during college in his junior year rivaled moxie for the Buckeyes. New England drafted him during 2012, and he got the privilege of bringing home the Super Bowl trophy during 2014 against the Seahawks, and once again just Sunday during overtime against the Atlanta Falcons. 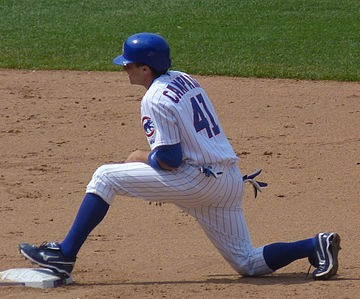 Tony Campana is an American pro baseball center fielder who has played for the Chicago Cubs, Arizona Diamondbacks, and LA Angels out of Anaheim. He attended the University of Cincinnati, where he played for the Bearcats before being drafted by the Cubs during 2008. One of this player's true claims to fame is that he became one of the first Cubs to steal second and third base, and during the same year, he hit an inside-the-park home run pitched by Red's Mike Leake. His minor league career launched while he was playing with the Washington Nationals, and many have known for years one other very special detail about this player. Diagnosed with Hodgkin's Lymphoma as a young child, he underwent various treatments for 10 years, and has been in remission as of late. Kayla Harrison is a tough-as-nails judo champion that hails from Middletown, OH. She took up judo at the age of six, under the guise of her mother, who held a black belt. She lived here until the age of 15, when to moved to Boston to train with Jimmy Pedro. She held the honor of being the first American to win gold in the -78kg category at the World Judo Championships in 2010, and the next year she placed third at the World Judo Championship in Paris. Last summer during the Olympics in Brazil, she enjoyed the glory of winning an Olympic gold, after successfully defeating Audrey Tcheumeo of France. Last year in August, she was the youngest American ever to be awarded the rank of 6th Degree Black Belt, and she is now going to heartily enjoy being a commentator for the World Series of Fighting. Mike Conley is a pro NBA player currently offering up his awesome talents to the Memphis Grizzlies, and is the son of Mike Conley SR, who was an Olympic gold and silver medalist in the triple jump. He attended Lawrence North High School in Indianapolis, where he lead the team to three consecutive state championships, and brandished an overall record of 103-7 during the four years he spent as a point guard. Listed as the no. 18 player during 2006, he chose Ohio State University alongside high-performing teammates such as Daequan Cook and Mark Titus. He made his first NBA appearance during 2008, and was permanent starter for the Grizzlies during 2009. During 2010, Conley had a season-high 28 points when his team had victory over the Los Angeles Lakers, and he is still with the Grizzlies. Now known as the greatest scorer in Grizzlies history, he has a five-year, $153 million deal, said to be the greatest by value in the history of the NBA.